A Petrocelly family tradition for Easter breakfast! 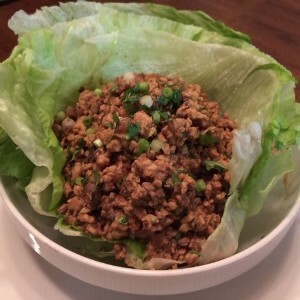 A delicious dish for any Sunday brunch or serve with a salad for a light dinner. 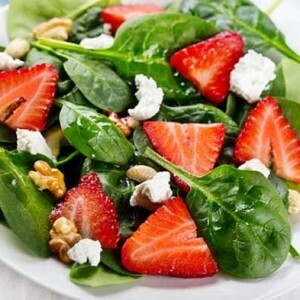 When strawberries are in season you will love to make this salad…the combination of berries with goat or feta cheese, walnuts, and a Strawberry Lime vinaigrette is a delicious taste sensation! A Classic salad with an Olive Tap twist! 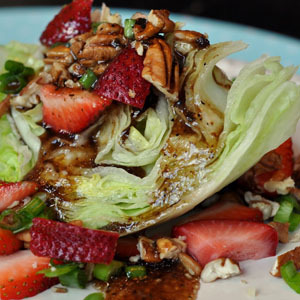 Crisp Iceberg Lettuce Wedges topped with strawberries, bacon, pecans and cheese…dressed with a delicious Strawberry Honey vinaigrette! 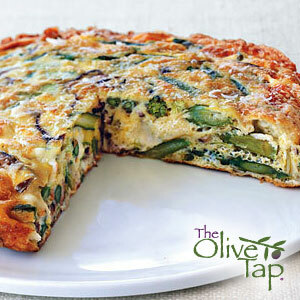 A most delicious way to eat asparagus! Roasted, with good Parmesan cheese and a delicious drizzle of our Aceto Riserva Balsamic Vinegar! 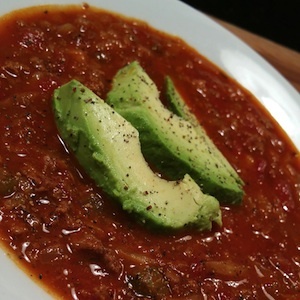 A quick, easy, heathly meal! 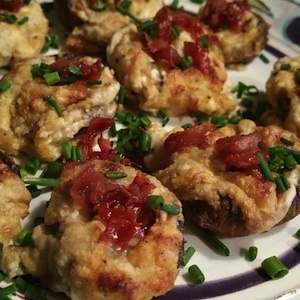 Try this for a quick and easy appetizer…the truffle makes it! We’ve made Stracciatella (Italian Egg Drop Soup) for many years. 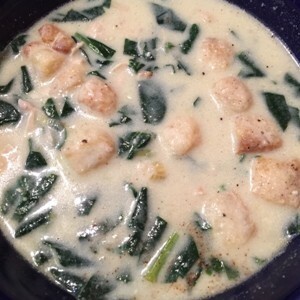 This version is inspired by a recipe in Cuisine at Home Magazine, we took away the eggs and added precooked Chicken to turn this into a very satisfying Winter Entrée soup. You can bake the chicken coated with some olive oil, salt and pepper, or if time is short, purchase some baked chicken from your favorite grocery store. 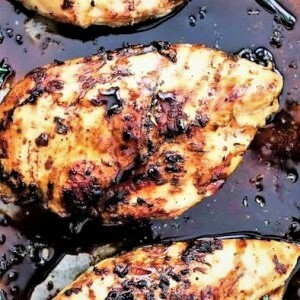 This easy to make chicken dish with a sweet tangy Black Currant Balsamic Vinegar marinade is full of flavor. If you like a little heat, substitute our Citrus Habanero Olive Oil for the Sorrento Orange. 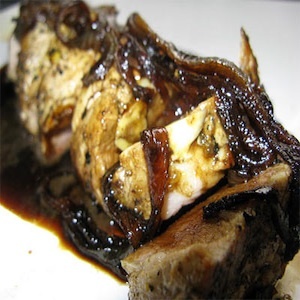 Rich Black Currant Balsamic Vinegar glazes the pork tenderloin & caramelized onions perfectly!